Four disability-focused programs at The University of Texas at Arlington have been awarded the Martha Arbuckle Award, a statewide award recognizing the most innovative local committee project. The award is given by the Texas Governor's Committee on People with Disabilities each year. The Disability Studies Minor, Office for Students with Disabilities, Movin' Mavs Adapted Sports & Recreation and UTA Libraries' Texas Disability History Collection received the award. Recruiting and retaining students with disabilities to ensure they graduate and get jobs. Training the general workforce about disabilities. Driving disability-related research that incorporates the perspectives of people with disabilities. Helping UTA reach full compliance with disability rights and equal opportunity laws. The Texas Governor's Committee on People with Disabilities bestows the Martha Arbuckle Award, which recognizes the most innovative local committee project. It is presented in memory of Austin's long-time disability advocate Martha Arbuckle as part of the annual Lex Frieden Employment Awards. Sarah Rose, the director of the UTA disability studies minor and an associate professor of history, was one of the recipients, and was honored at an awards ceremony in Plano this week. "I'm honored to receive the Martha Arbuckle Award but really this is an award for the University," Rose said. "So many UTA entities go into receiving this award." Rose also won 2018 Philip Taft Labor History Prize winner for her book "No Right to be Idle: The Invention of Disability, 1840s-1930s." Penny Acrey, director of the Office for Student with Disabilities, is thrilled for the collaborative efforts of UTA to be recognized for all the contributions toward student success and inclusion on campus. Library Dean Rebecca Bichel said the Texas Disability History Collection resonates with public and academic communities. "It continues to grow into a robust, meaningful collection that expands our understanding of Texans with disabilities and documents the prominent role Texans play in the disability rights movement," Bichel said. "This history has largely been untold and we are committed to providing broad access to these extraordinary materials." Rose said graduates' testimonials about the impact of UTA's disability programs and longstanding commitment to welcoming students with disabilities are likely what really influenced the judges making the Arbuckle award decision. Tyler Garner, a doctoral candidate and clinical assistant professor in kinesiology, said the Movin' Mavs Adapted Sports Program at UTA has changed his life. "The opportunity to engage in sport has complimented my ability to be academically successful," Garner said. "I'm confident that without this opportunity in my undergraduate career, I would not be on the path that I'm on as a faculty member here and working on my PhD." Rose said UTA has the first disability studies minor in the entire southern United States. "Being recognized by the governor is an enormous honor," Rose said. "We're also the only disability studies program that's explicitly history-focused. This recognizes UTA as a great academic destination for disability studies and as a great place for history." "Sixty to 70 percent of the students in this minor have disabilities," Rose said. "Many are caregivers, too. Our graduates are going on to graduate school or working directly out of college. Virtually all plan to work in the field. The minor is part of the amazing disability programs at UTA." In addition, to the 2018 Taft Labor History Prize for her book, Rose also won the 2018 Disability History Association's Outstanding Book Award and the 2017 Award for Excellence in Research Using the Holdings of the New York State Archives. The book, "No Right to be Idle: The Invention of Disability, 1840s-1930s," centers on labor, charity, and disability policy during that time frame. "Disabled people have often been labeled as unproductive, that they don't want to work, that they're lazy. Up to 70 percent of working-age people with disabilities are not working, but largely because of persistent barriers and discrimination, not by choice," Rose said. "I study why that came to be. Public policies such as workers' compensation led employers to refuse to hire people with disabilities. Others ended up working for free inside 'idiot' asylums for the rest of their lives or for cents on the dollar in sheltered workshops." The Labor and Working Class History Association and ILR School at Cornell University hand out the award annually. Philip Taft was a noted labor historian who focused on U.S. labor history and the American Federation of Labor. Elisabeth Cawthon, dean of UTA's College of Liberal Arts, said Rose's work in earning these two awards registers on federal and state levels. "Dr. Rose is one reason UTA is becoming a center for disability studies," Cawthon said. "Her ability to weave many aspects of university life into the minor only pays dividends for her students. These awards show her ability." In addition to the two awards, Rose also received a Summerlee Foundation grant to expand and publicize UTA Libraries' Texas Disability History Collection. 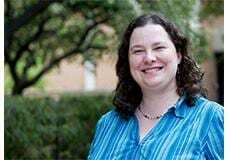 Her team is collecting interviews with Texas disability rights pioneers like Bob Kafka and Stephanie Thomas, as well as Texan leaders in adapted sports and assistive technologies,. These Austin-based grassroots activists have long helped drive the disability rights movement and who played a key role in pushing the Americans with Disabilities Act through Congress.